We offer full boarding services. 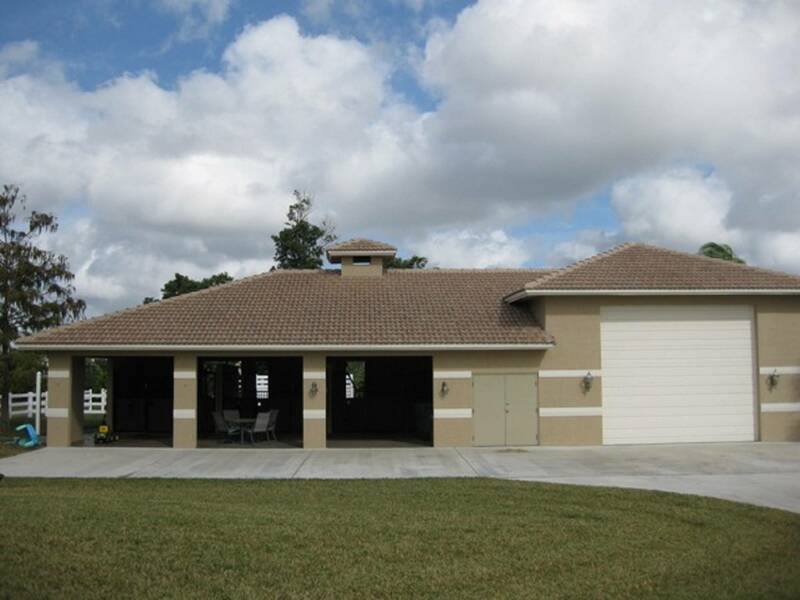 We have 3 stalls that are full concrete block construction on 4 acres with access to the Davie Equestrian Trail and all pastures are fenced and easily accessed. Daily turn out up to 24 hours per day, stalls cleaned daily, hay fed 2 to 3 times daily (horses always have access to clean hay), grain/pellets twice daily if needed. Solitude feed through fly control pellets given daily. One 2 acre grass pasture. One 1/2 acre paddock with some grass and one 1/4 acre paddock. 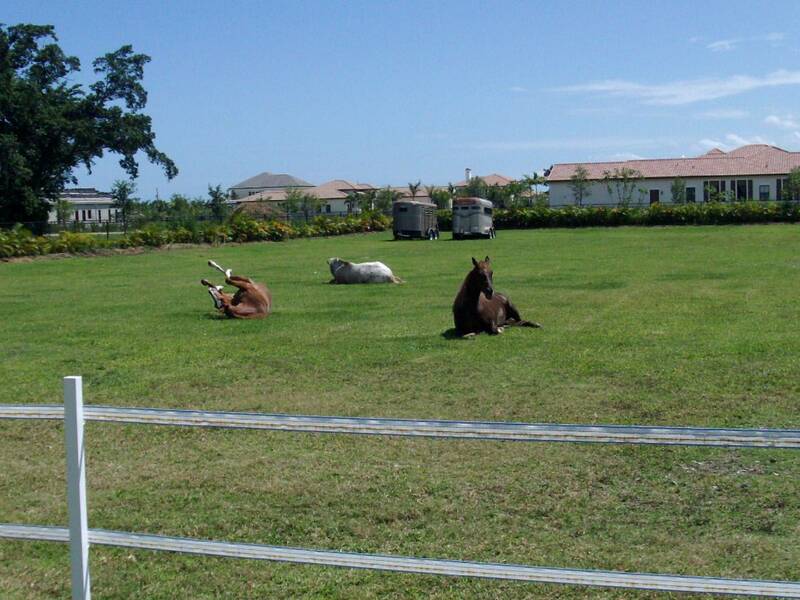 Horses generally have access to stalls and pastures so they can come and go as they please. Secure gated property. 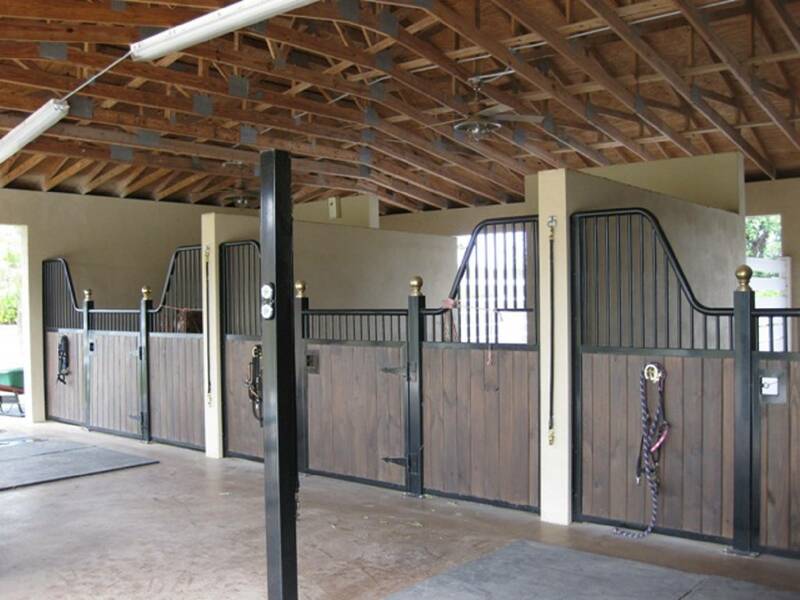 Stalls are 12' x 12', with rubber mats, attached 12' x 24' walk outs, automatic waterers, and ceiling fans. Wash rack and two grooming stations in barn, tack room, refrigerator, and clean bathroom.